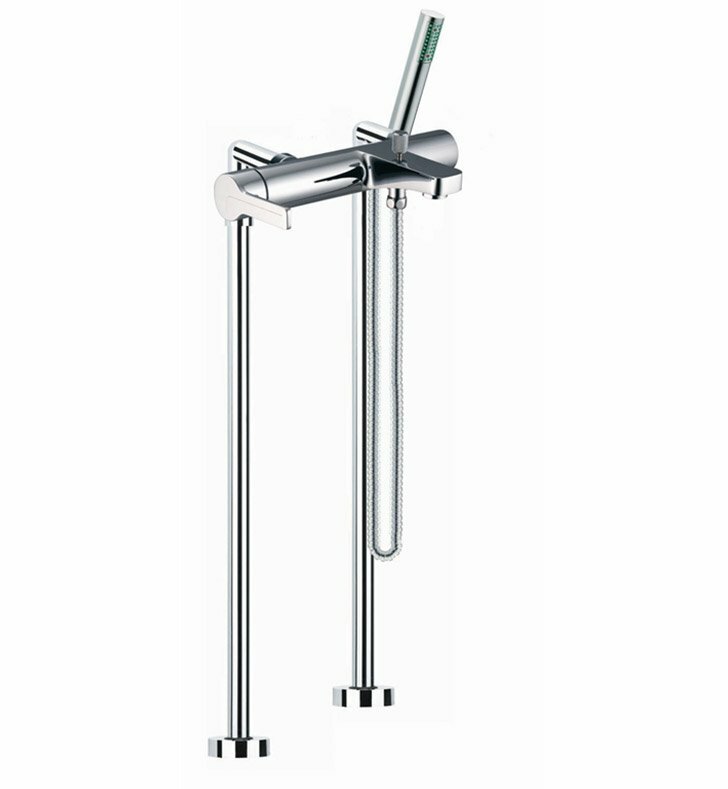 Start with this designer-quality single handle (lever handle style), 2 hole tub filler. Floor Mount and available in polished chrome or brushed nickel, this brass tub filler perfectly compliments a modern & contemporary personal bath. Designed and made by Fima Carlo Frattini in Italy. From the Fima Carlo Frattini Matrix collection.